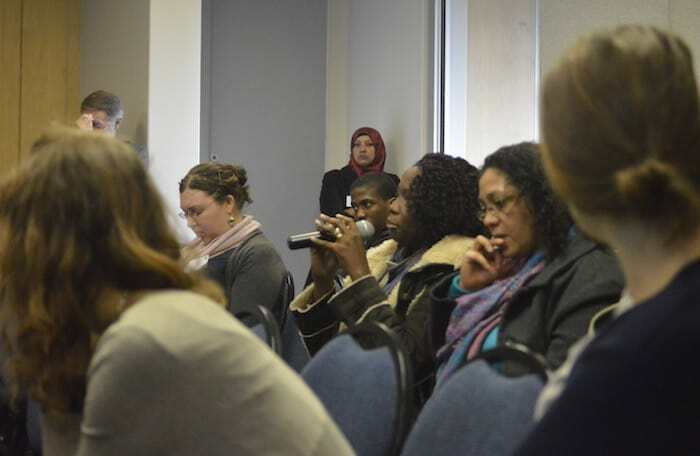 Professor Desiree Lewis (UWC), Principal Investigator for the Food Politics and Cultures, a research capacity building project funded by the Mellon Foundation through the DST-NRF Centre of Excellence in Food Security. 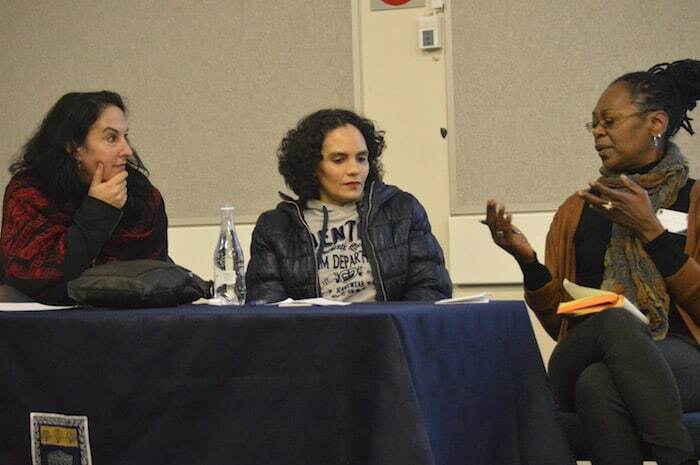 In conversation with Dr Heidi Grunebaum (left), Shelley Barry (middle) and Prof Desiree Lewis (right), following a screening & discussion of Documentaries & Narrative Film made by Shelley Barry. 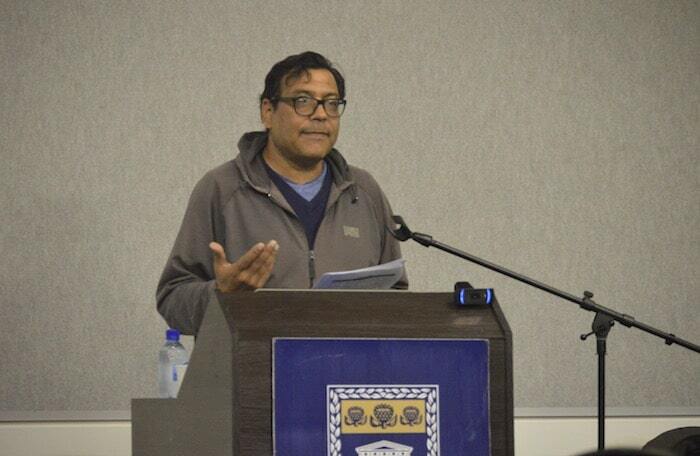 Prof Vasu Reddy (University of Pretoria) has an abiding interest in food studies and is guest editing an issue on food for the Journal of Literary Studies. 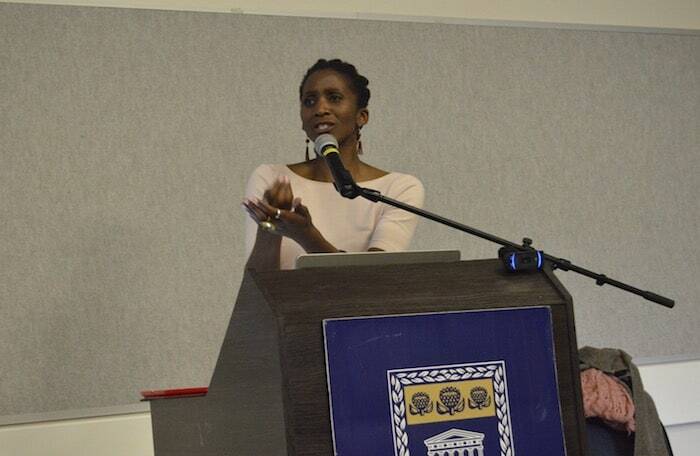 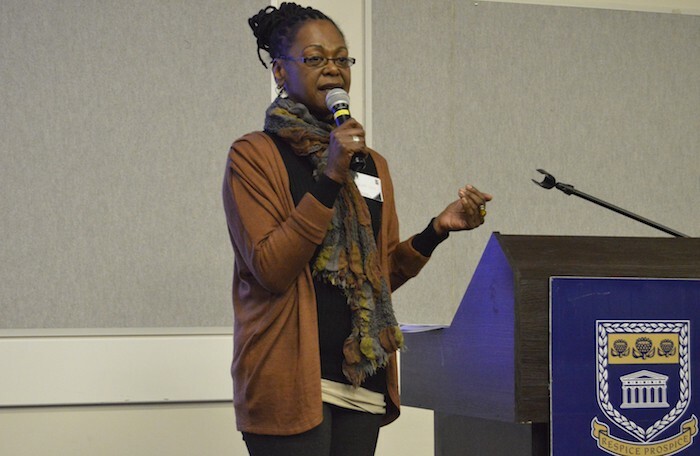 Professor Thandi Puoane (UWC), has worked on body image and cultural perceptions of nutritional and physical “health” among African-American women and within South Africa. 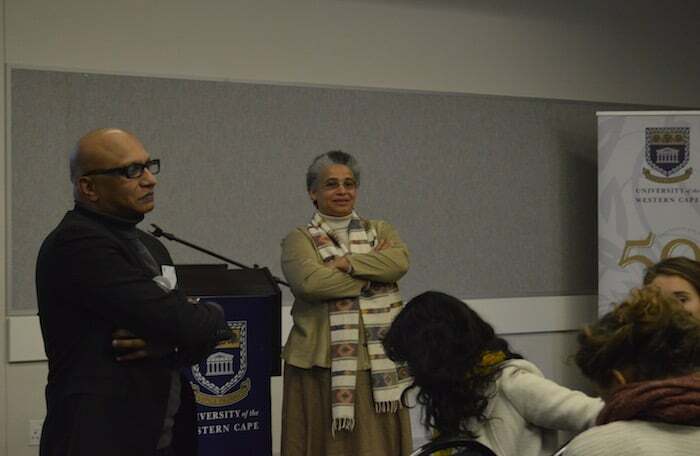 Dr Arundhati Kundal, a visiting researcher from India and currently affiliated with the CoE-FS, she is interested in comparing informal trading in food in peri-urban Indian contexts with those in the Western Cape. 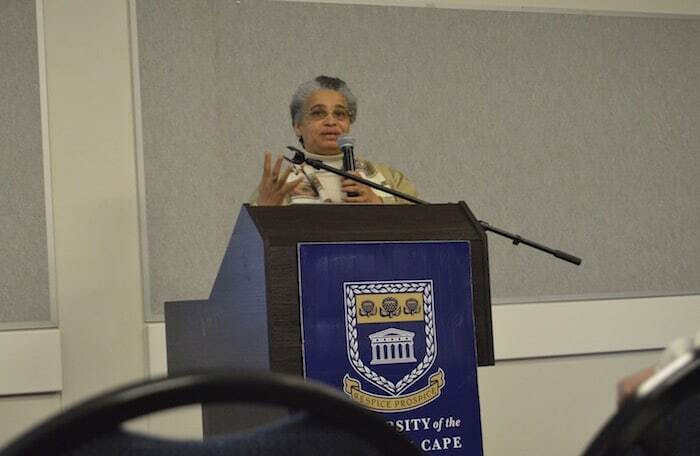 Dr Yvette Abrahams, an Associate Researcher in the Women’s and Gender Studies Department at UWC presenting under the Theme - Food Talk: Epistemological Interventions. 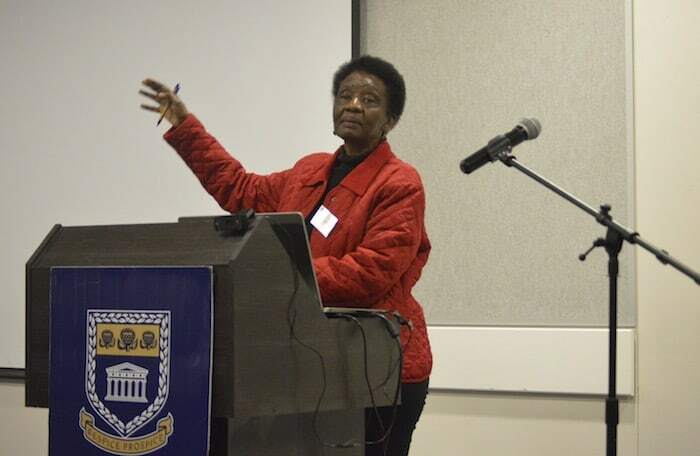 Dr Abrahams has worked extensively on feminism, women’s livelihoods and social justice. 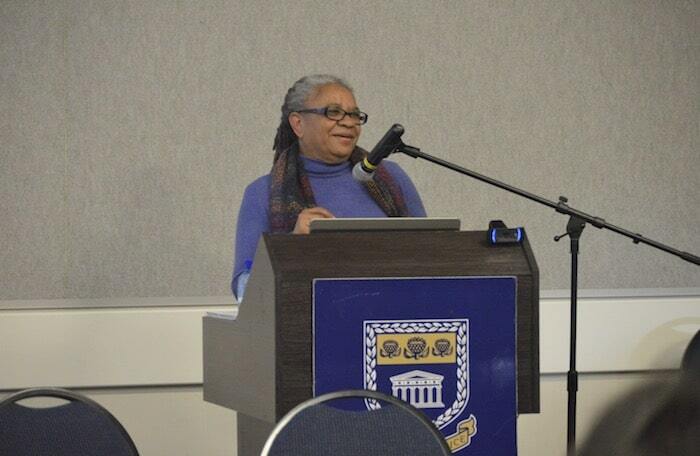 Ms Mary Hames is the Director of the Gender Equity Unit at UWC. 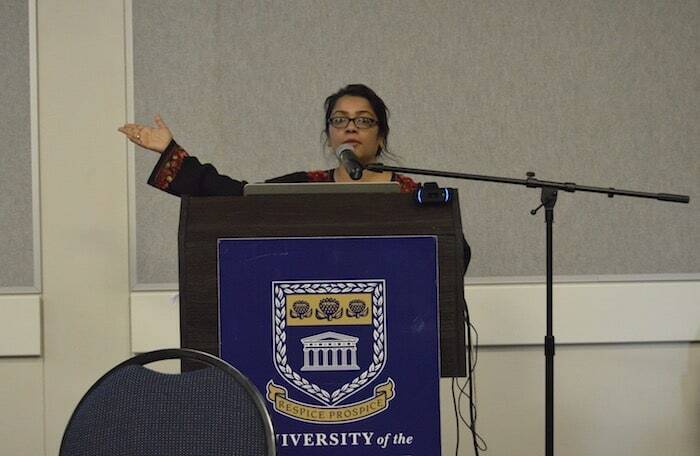 A feminist intellectual activist who combines her research on education and social justice with working with students and the wider community, she launched a food programme for students on campus several years ago. 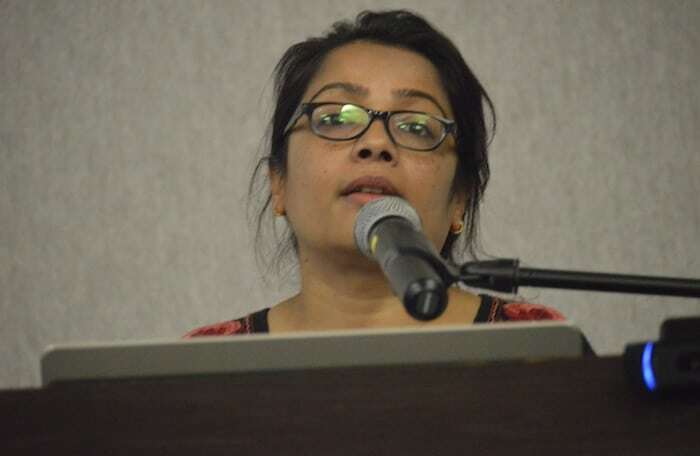 Dr Kundal is a social scientist with expertise in researching gender, women’s livelihoods and women’s labour. 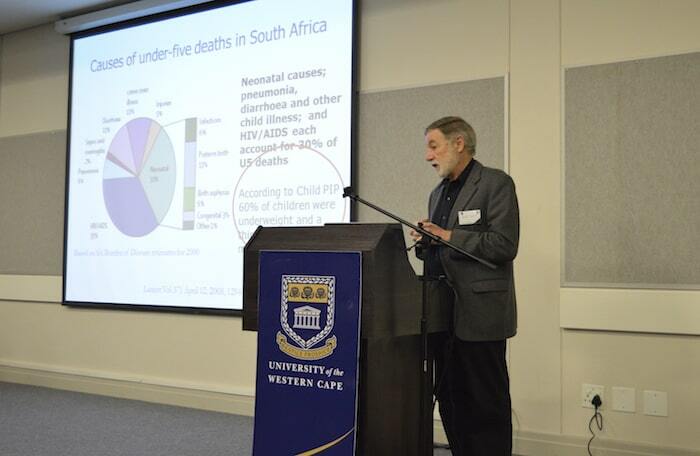 Emeritus Professor David Sanders of UWC's School of Public Health (SoPH) presented on "Working on Food in the Natural and Social Sciences"
Professor Thandi Puoane (UWC), her research addresses nutritional security in relation to local and global legacies histories of food management and control. 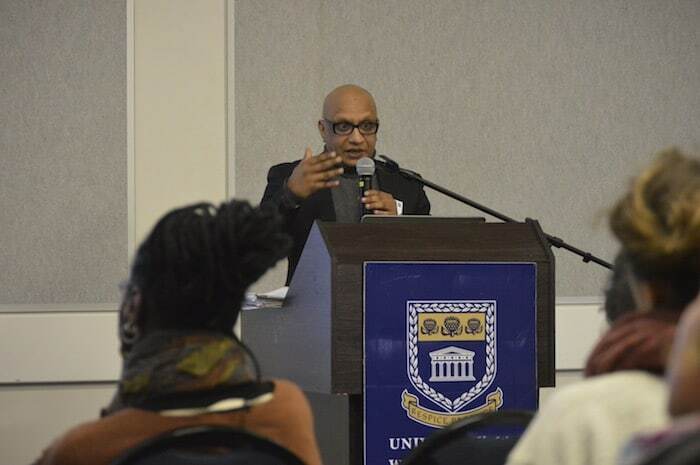 Prof Ashraf Jamaal, a Professor in the film and Video Technology Department at Cape Peninsula University of Technology has produced several talks and writings about food cultures in contemporary South Africa. 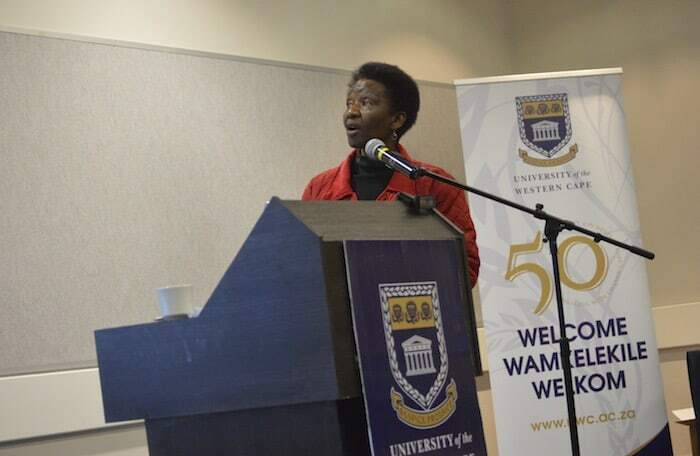 Dr Efua Prah, (Anthropology, UWC) works broadly around issues of embodiment, and human subjectivity. 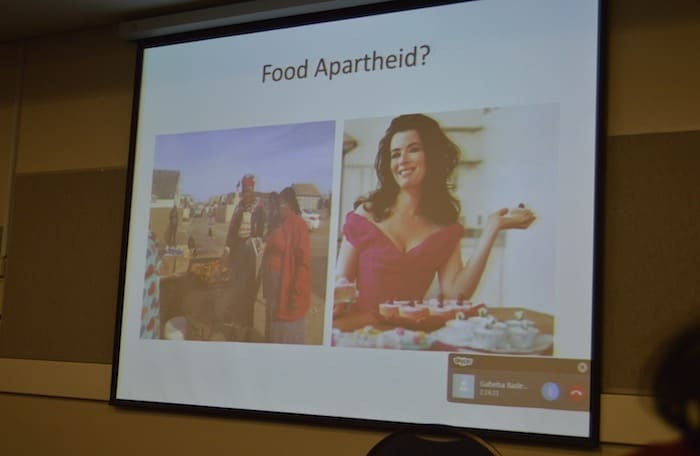 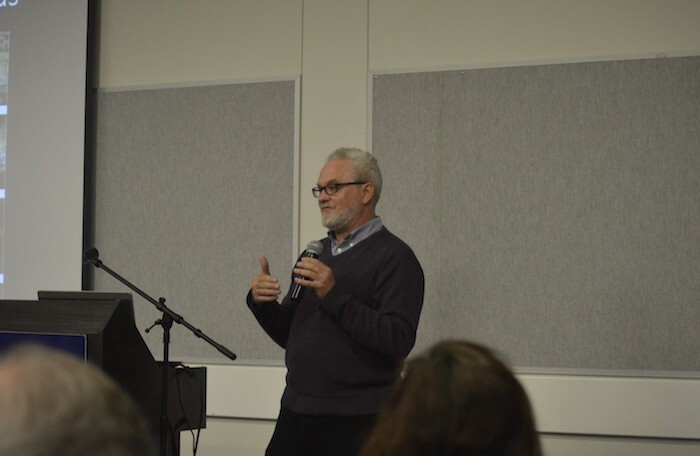 Presenters argued that current talk about food has been balkanized by national and global elites, neo-liberalism, corporate capitalism and managerialist discourses. 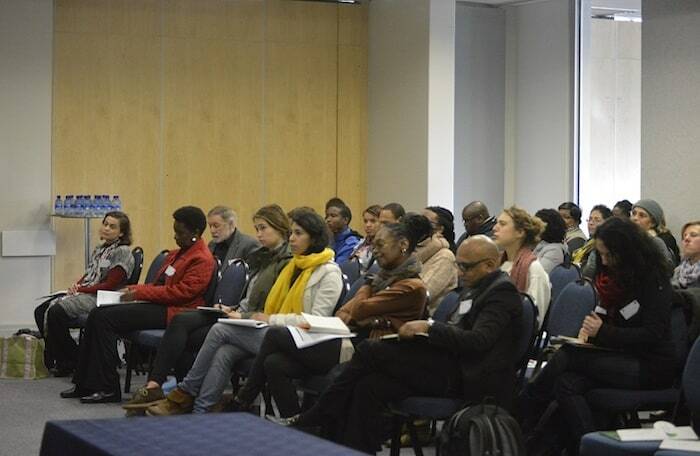 Within this context, the researchers asked: "How can marginalized knowledges - including indigenous knowledge systems - offer liberating ways of exploring the growth, preparation, control, distribution and eating of food in relation to the historical, social and cultural contexts of these acts?"